We have now tried several cocktails with this elixir and we have a new favorite Champagne Cocktail! Ok, so maybe you haven’t made that cranberry-orange liqueur? I would suggest substituting 1 oz Fresh Pressed (not from concentrate, 100% pure juice) Cranberry Juice and 1 oz Cointreau instead of the cranberry-orange cordial. Enjoy!! This is a keeper! 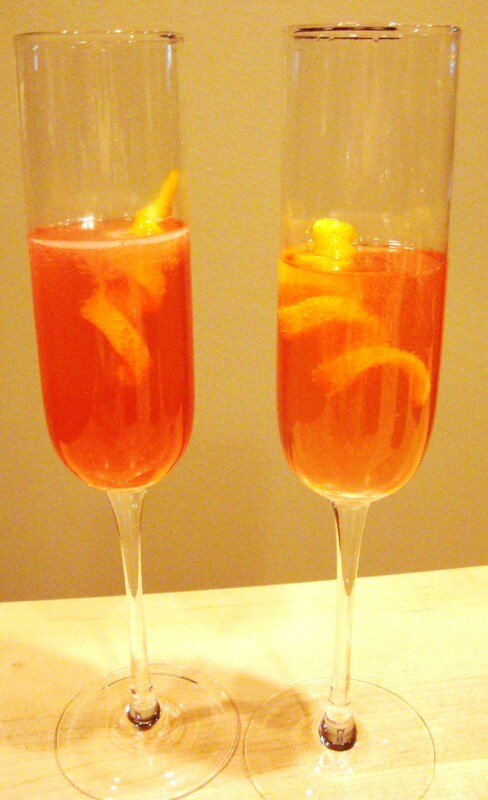 Categories: Champagne, Cocktail, Recipes | Tags: champagne, cocktail, cranberry, Liqueur, orange, recipe | Permalink.